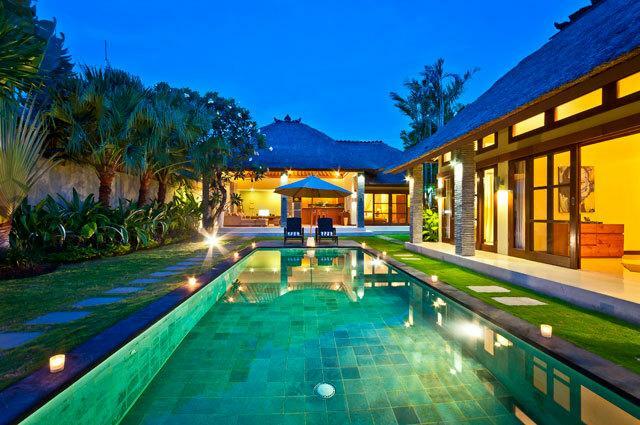 Villa 3601 is a private villa located in the fashionable Seminyak district of Bali. 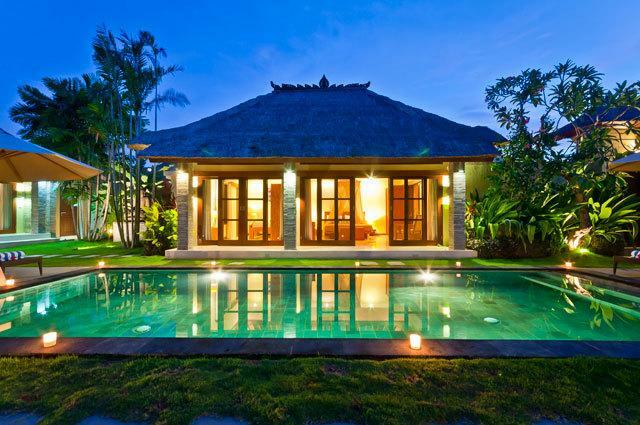 Villa 3601 consists of three en-suite bedrooms each with a king-size bed, a bale (gazebo) and a private swimming pool. 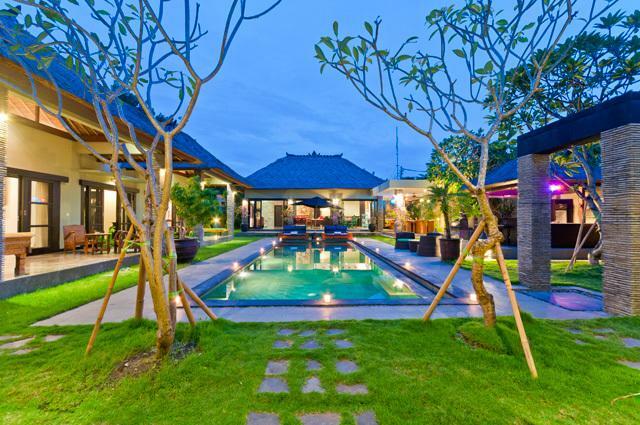 It is located in a quite secluded section on Raya Seminyak Street, gang Keraton yet within walking distance to the Legian main street which is legendary for its various shops, supermarkets, boutiques and famous restaurants. 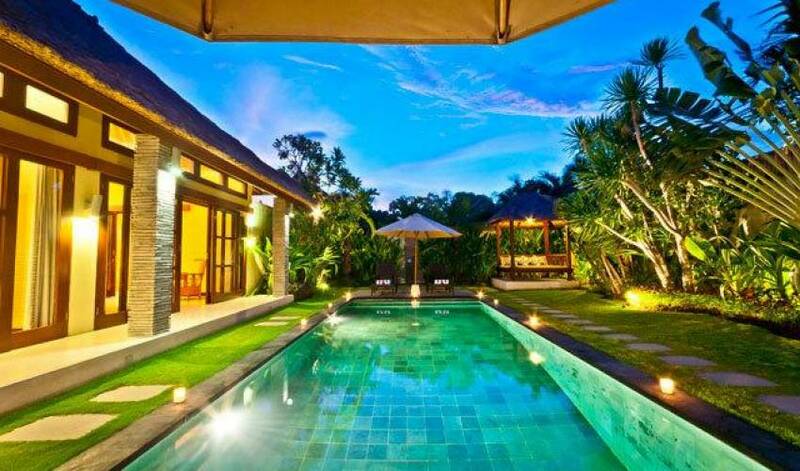 The villa is only about a 7 minute walk to the beach. 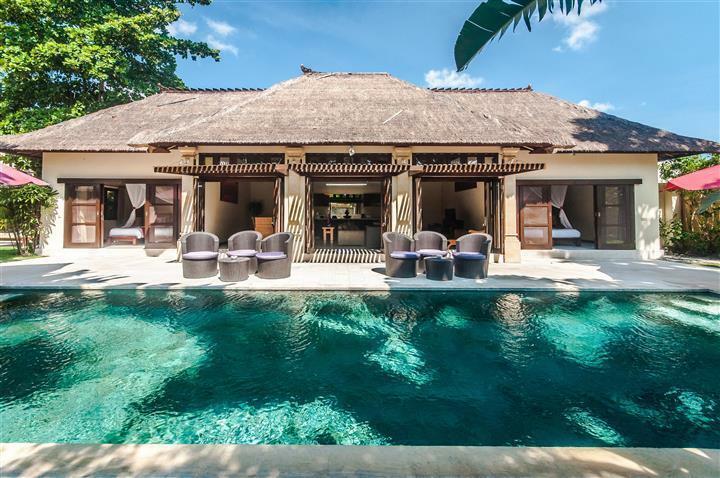 Inspired by the tropical Balinese living concept, Villa 3601 is an individually styled and unique residence, incorporating a balance of design and functionality by a combination of Asian contemporary architecture and an open space living concept. Its innovative design defines the relationship between nature and functionality. Every structural element has a distinct sense of purpose without compromising on style or comfort. 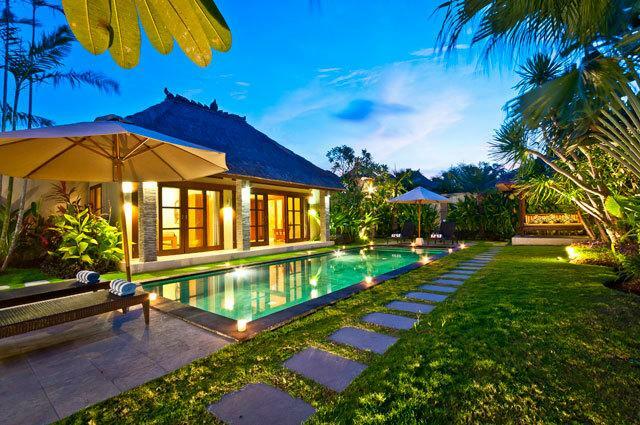 This luxury villa appeals to discriminating guests who yearn for a holiday villa that is refreshingly different from their neighbors, while still being nestled within the security and convenience of a private enclave. 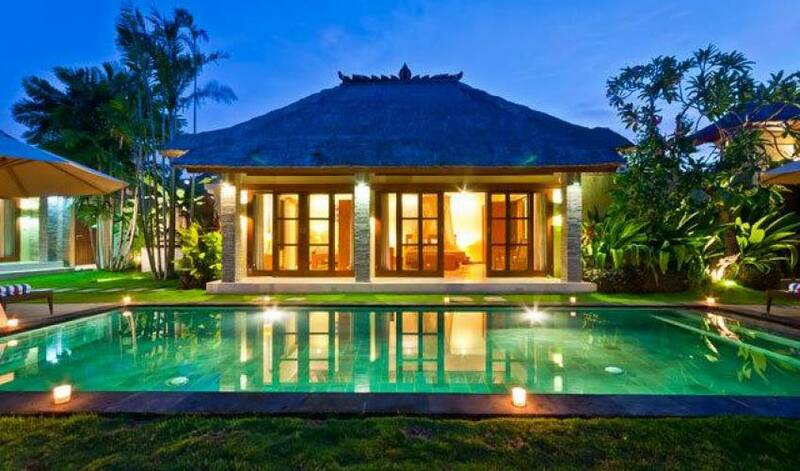 Villa M3601 consists of two main buildings. The larger of the two buildings, features two separate sections of an open space deluxe room as living and dining space, and a kitchen/bar area and an adjacent closed master en-suite bedroom. The second building is the family guest house featuring a large bedroom with two elegant en-suite. 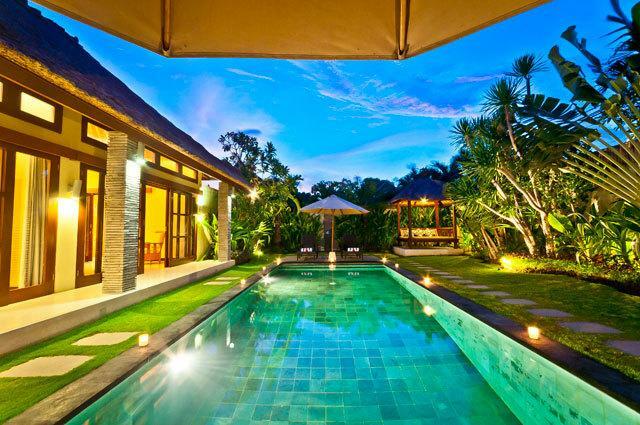 Overlooking the swimming pool and the beautiful tropical landscaped garden is the main pavilion which houses the living and dining area, the kitchen/bar, and a bright, air-conditioned master bedroom with a large wardrobe with an internal safe deposit box and with a semi open shower en- suite bathroom. 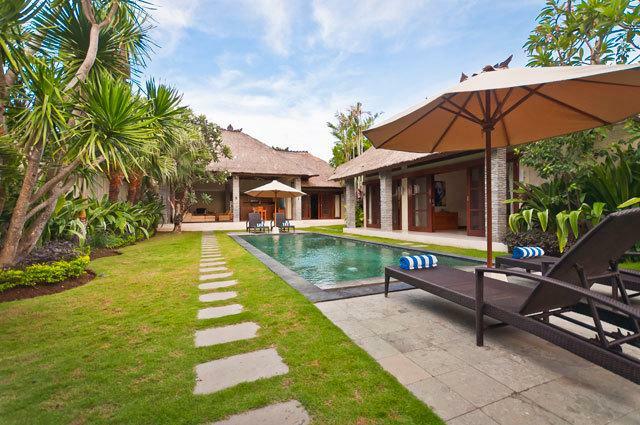 The spacious and open living room with its large sofa and chairs is ideal and comfortable for relaxation for family and friends, for watching the cable TV or for surfing on the wireless high speed internet. There is a large TV and CD/DVD player with a usb outlet and a surround sound system. The dining facilities consist of luxurious solid teak wood dining table and chairs. The kitchen and bar facilities, located on the corner of the space, provide all kitchen needs including a gas stove, refrigerator, microwave, coffee maker, juicer, fresh mineral hot and cold water dispenser, china and glassware and all other kitchen needs. 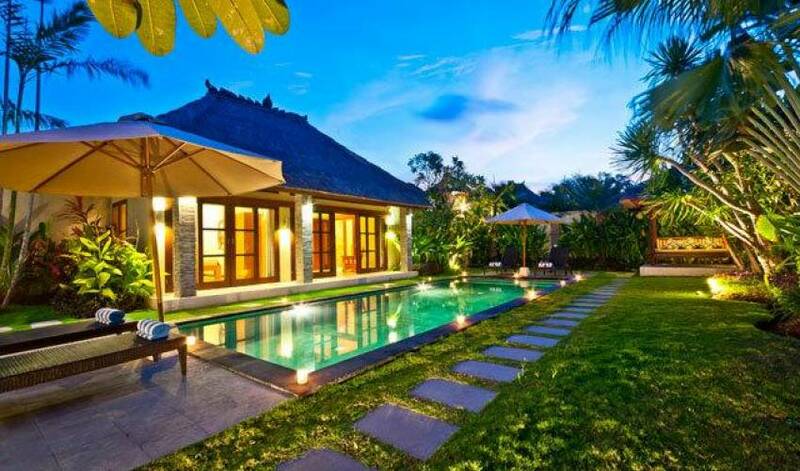 The guest house, overlooking swimming pool, is set facing the exotic garden with its numerous tropical plants, trees and flowers. The guest house comprises of two sections. 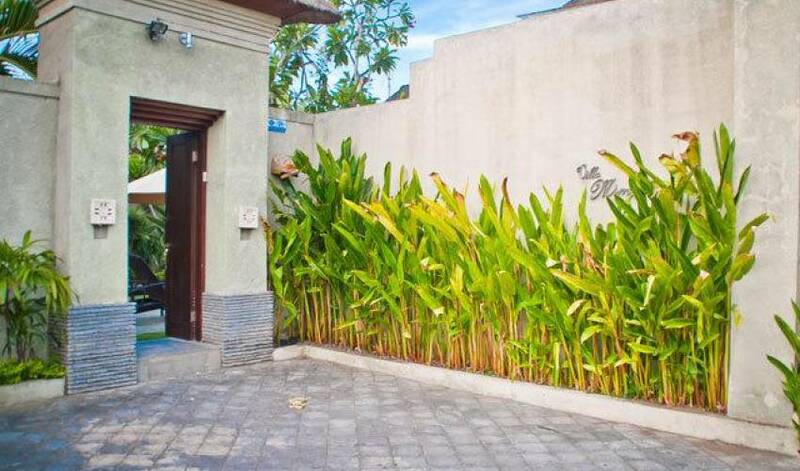 It has a large air conditioned guest bedroom, with a king sized bed, a large wardrobe and with en-suite semi-open bathroom. The bath room features a stand-alone bath tub and an open shower with hot and cold running water with exclusive guest amenities and supplies. 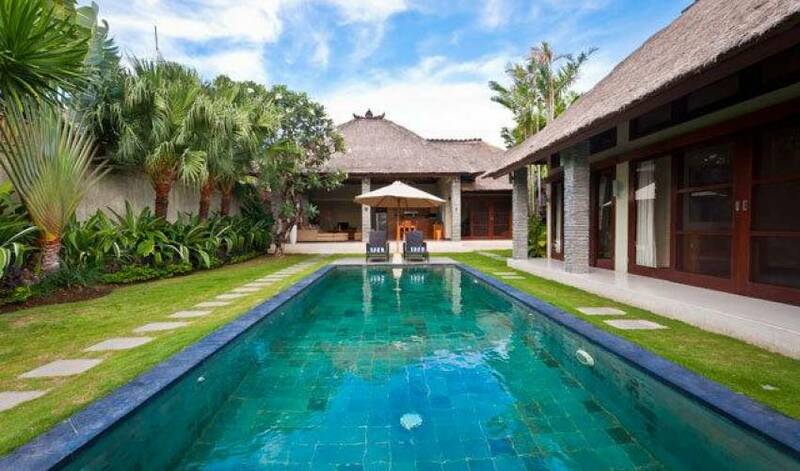 The villa grounds are centered by a natural stoned swimming pool with elegant black stone borders. The single stone step-in platform in the shallow side of the pool is designed for sitting and enjoying a cold drink. 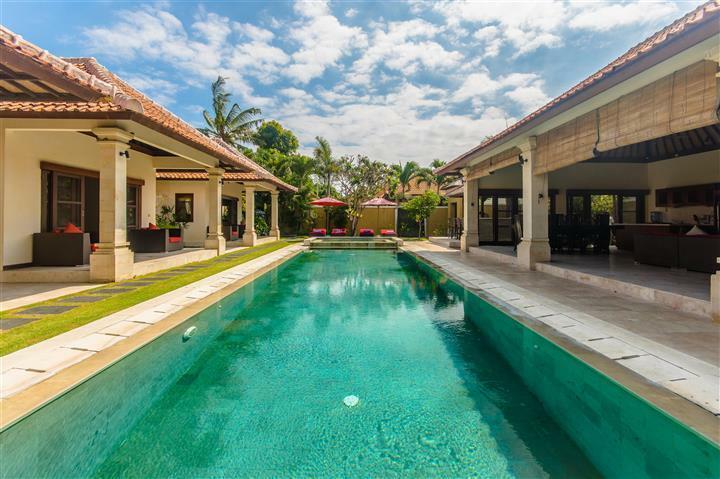 The pool is surrounded by a lush and manicured tropical garden. There are several unique trees and plants with a combination for serenity, tranquility and color. A towering old Fringipani tree at the North-West entrance of the main building signifies a majestic tropical presence with its intertwining trunks and bright white flowers. The two Japanese palms on the front left of the master bedroom on both sides of a statue of a sitting Buddha on a pedestal provide a mystical aura. 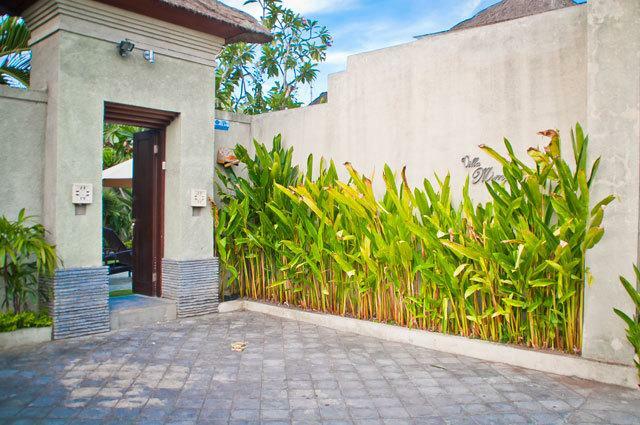 There is gazebo close to the entrance gate and swimming pool with a daybed and a fan ideal for breezy relaxing moments. Normal household supplies such as soap, shower gel, shampoo and body lotion and other cleaning products are included in the rental price and will be replenished as needed. Fully staffed: including manager, guest assistant, villa attendant, on-site engineer, gardener and pool attendant, and security guards.